يقع فندق Highview Apartments، المصمم ليناسب كل الضيوف سواء كانوا من رجال الأعمال أو السياح، في مكان ممتاز في أحد أكثر المناطق تفضيلاً في مركز مدينة كوينزتاون. يمكن من هنا للضيوف الاستمتاع بسهولة الوصول إلى كل ما تقدمه هذه المدينة النابضة بالحياة. يشكل هذا الفندق ملاذاَ مريحاً للاسترخاء ويمنح زواره فرصة للاستجمام والتجدد، وهو يقع على بعد خطوات من المعالم السياحية الكثيرة للمدينة كمثل: كازينو لاسيترس وارف, البار الثلجي ماينس فايف, كاتماندو كوينزتاون. إن الخدمات الممتازة وحسن الضيافة العالي في Highview Apartments تجعل إقامتك تجربة لا تنسى. يمكن الاستمتاع بمجموعة من الخدمات على أعلى المستويات في الفندق كمثل مرافق مخصصة لذوي الاحتياجات الخاصة, تسجيل وصول/خروج سريع, تخزين الأمتعة, واي فاي في المناطق العامة, صف السيارات. في Highview Apartments غرف نوم يزيد عددها عن 27 صممت بذوق وعناية لتوفر لك كل وسائل الراحة . بعضها يحتوي أضاً على تلفزيون بشاشة مسطحة, غرف لغير المدخنين, تدفئة, مكتب, شرفة/ تراس. إن حوض استحمام ساخن, مركز للياقة البدنية هو المكان الأمثل في الفندق للاسترخاء وتفريغ طاقتك بعد نهار طويل. إن Highview Apartments هو مكان مثالي للمسافرين الذين يتطلعون إلى الراحة والاستجمام في كوينز تاون. Stay here for the nice view. A bit far away from town centre but ok as we got a car. No lift, so you need to trade off, higher floor with better view but you gotta take heavy luggages up to the 2nd or 3rd floor. At night, insects kept coming into our living room where has no air conditioner. The solution is keep the windows opened but close the black curtain at night. This worked. Very clean, good value, close to town. 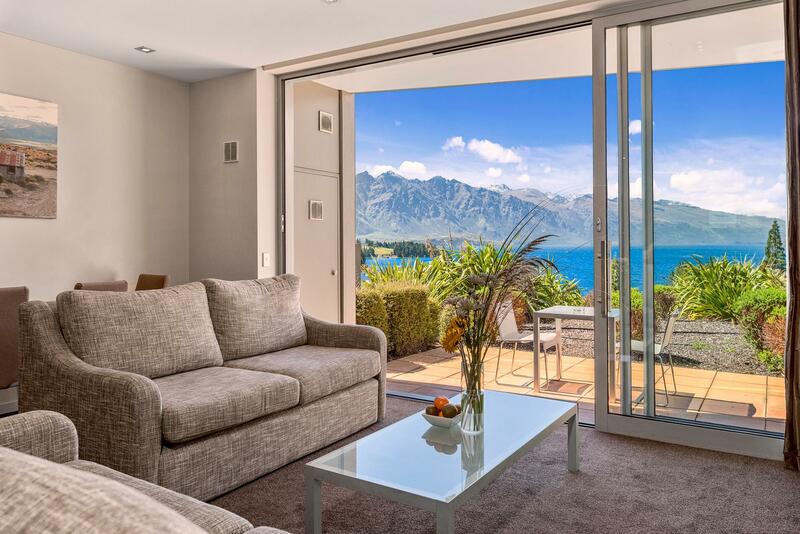 Views are exceptional and we loved getting back to our apartment to enjoy a glass of wine soaking in the atmosphere and beauty of Queenstown. Quite and well equipped apartment with off street parking all pluses. Easy walk into town about 8mins a little bit of effort needed for the return up hill or $10- for taxi, all good and already planning our return to Queenstown and Highview Apartment 302a is wonderful. This was amazing apartment and great stay! Spacious, clean and has everything you need. Short 10min walk to town but a bit of a hill to walk back up so we caught a cab back most nights ($8). Only fault was the wifi which would cut out or not connect at all everyday but not a big issue. Thank you, we will be back again soon! The heated towel rail and underfloor heating in the bathroom was a nice surprise. Situated in a very central location, you'll be hard pressed to find a more pleasant place than this. The bed and pillows are very comfortable. Thank you to the warm and friendly staff. Friendly staff, beautiful location. Easy walk to get to city. What a great view from the room. I could live and wake up to it every day. If you want to walk into town it is only a short walk but on the way back there is a small hill. 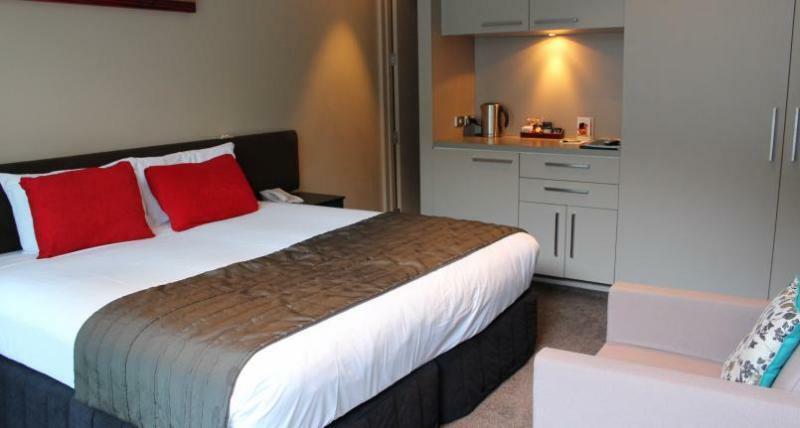 Although this hotel is walking distance from town it is up a very steep hill. The Intercity bus driver did his best to drop people close to their hotel but it was clear ours was too difficult. Hauling the bags up the hill, even on wheels, was not fun. The best way uphill is via Brunswick Street. The best parts: friendly staff, great treadmill, great weight machine, great bed sheets, nicely appointed room, pleasant room even with “no view”. The main issues with our stay were: regular drops outs on the wifi, no cooling in the room or the fitness centre, poor quality toilet paper, tissues not replaced and floor not vacuumed when the room was serviced, the rubbish bin is too small for 2 days’ worth of rubbish and the shower temperature was very hard to regulate going from freezing to scalding in moments for no obvious reason. Room was very small, good little kitchenette but needed a sink. 10 minute walk to town, easy if you don't mind hills! We had an absolutely fantastic stay. We were on the 3rd level with views of the lake and snowcapped mountains. It was one of the best views in Queenstown uniterrupted scenic views. Room was great very comfortable we had a great stay would definitely stay again. 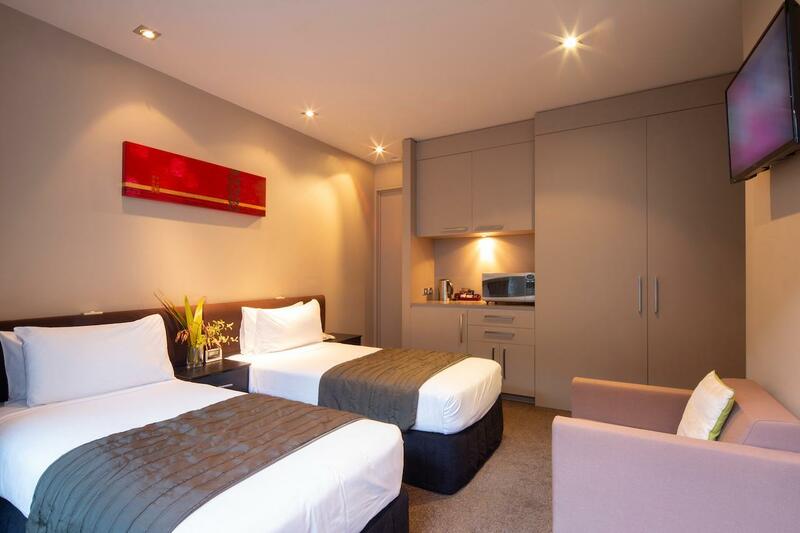 Great friendly staff and awesome apartments overlooking Queenstown!! Staff were amazing and so helpful! 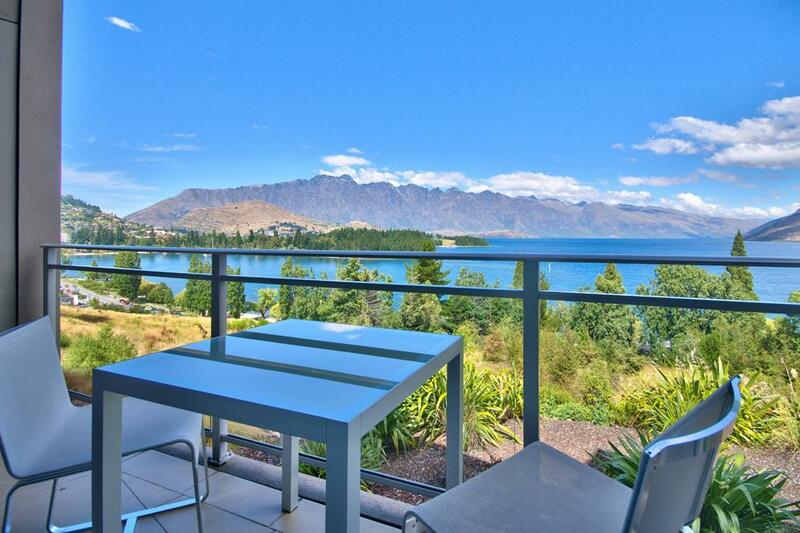 Awesome views and central location. Only 5mins walk to town! We loved our stay with highview. Its only a 10 minute walk into town which was good for us as we got to take in the view. Loved that our apartment was serviced every 2nd day, the apartment was tidy and very comfortable. Thank you!